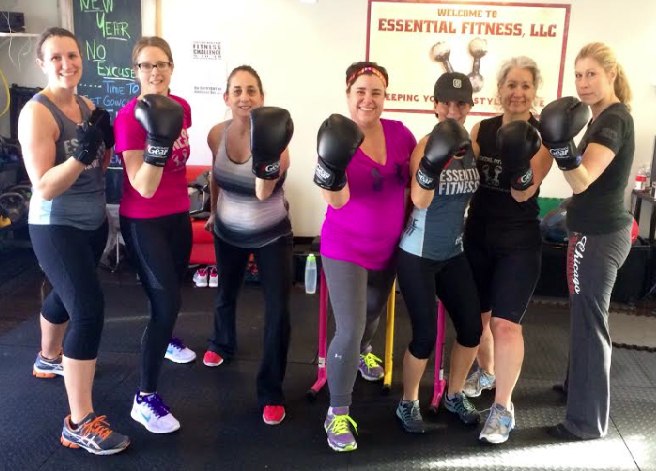 Fitness Boxing has always been popular at Essential Fitness and will now be offered as an Efit Weekend Workout option. Our program will consist of bodyweight exercises (Push-ups, Burpees, Inverted Rows, Pull Ups & Dips) followed by boxing. The class will last 45-55 minutes. The Fitness Boxing class will consist of basic boxing exercises including jabs, crosses and uppercuts with a partner. Core exercises will also be included in each workout. Fitness boxing is a high intensity workout that can burn up to 600 calories an hour while sculpting your arms, shoulders and legs. Fitness Boxing will help to improve your overall cardio conditioning and endurance. A great cardio/strength balanced workout to help you maintain your current physique or aid in weight loss.